LOS ANGELES, Calif. /California Newswire/ — The Pat Brown Institute for Public Affairs (PBI) at Cal State LA will honor Assembly Speaker Anthony Rendon as its 2017 Public Servant of the Year, and will recognize Dr. Drew Altman, president and CEO of the Kaiser Family Foundation with its 2017 Public Service award. Rendon’s first year as speaker has been marked by some of the greatest legislative success in California in decades, observers note. Rendon brings a new style of leadership to the Assembly in a time of great division, Sonenshein said. He has built alliances that had long seemed impossible and created openings for legislative success on issues such as climate change, transportation infrastructure funding, and early childhood education. 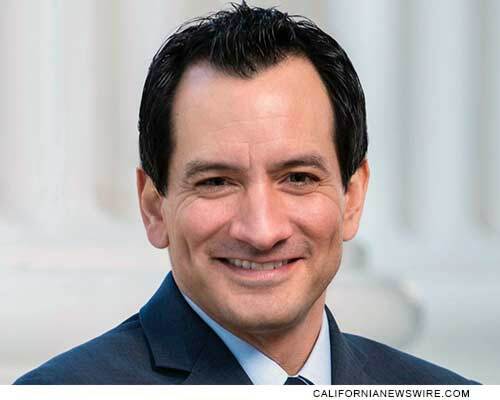 Even before he became speaker, Rendon demonstrated his ability to forge new coalitions when he authored the state’s historic $7.5 billion water bond that was approved by the voters in 2014. California continues to be at the center of national debates on climate change, immigration, health care and other urgent issues. Rendon praised the work of PBI. Altman will be honored for his and the foundation’s efforts to inform the electorate and the media about health care issues. When he took over the leadership of the Kaiser Family Foundation in the early 1990s, Altman refocused the organization on research and communications. KFF has been at the center of discussions about the Affordable Care Act through policy research and reports, sophisticated surveys of public opinion, and outstanding journalism through Kaiser Health News. It has become indispensable both to the media and to the public. Altman and KFF have created the basis for much more informed state and national debates. Cal State LA is a university dedicated to engagement, service, and the public good. Founded in 1947, the University serves more than 27,000 students, and 240,000 distinguished alumni, who are as diverse as the city we serve. Located in the heart of Los Angeles, Cal State L.A. has long been recognized as an engine of economic and social mobility. Led by an award-winning faculty, the University offers nationally recognized programs in science, the arts, business, criminal justice, engineering, nursing, education and the humanities. Cal State LA is home to the critically-acclaimed Luckman Fine Arts Complex, Pat Brown Institute for Public Affairs, Hertzberg-Davis Forensic Science Center, Hydrogen Research and Fueling Facility, Billie Jean King Sports Complex, TV, Film and Media Center and the Center for Engagement, Service, and the Public Good. For more information, visit CalStateLA.edu, or like us at Facebook.com/CalStateLA. The Pat Brown Institute for Public Affairs is a non-partisan public policy center located on campus at California State University, Los Angeles that is dedicated to sustaining the vision and legacy of former California Governor Edmund G. “Pat” Brown through convening public policy forums, engaging multi-sector stakeholders and diverse communities, and conducting timely policy research and community-driven initiatives. For more information, visit patbrowninstitute.org or like us at Facebook.com/PatBrownInstitute.